Manchester United manager Jose Mourinho has reportedly identified Lazio midfielder Sergej Milinkovic-Savic as a player he’d be happy to replace Paul Pogba with in the transfer market. According to the Independent, the Serbia international would be a tempting option for Mourinho as doubts continue to surround Pogba’s situation at Old Trafford after this difficult start to the season. 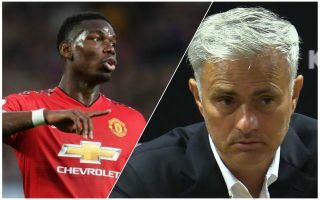 The report states Pogba remains keen on a move to Barcelona, and that United may be tempted to cash in on the France international if clubs offer something in the region of £200million for him. It’s fair to say Pogba has not lived up to expectations in his time with the Red Devils so far, so it’s little surprise Mourinho might be looking at a player like Milinkovic-Savic as a possible upgrade. The 23-year-old has really caught the eye with Lazio in recent times, and was linked with a host of top clubs for much of the summer, though in the end he remained at the Stadio Olimpico. Don Balon also recently linked Milinkovic-Savic with United, so it may be that this story is one that will keep cropping up as long as Pogba’s situation remains as it is.